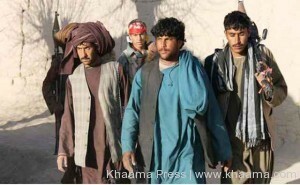 At least 25 Taliban militants were killed following public uprising in northern Kunduz province of Afghanistan. According to local government officials, the anit-Taliban pulic uprising started in Khanabad district, following a major Taliban offensive which sparked heavy clashes between the Aghan forces and the militants. A local security official said the residents picked up arms against Taliban militants after they were forced to leave their homes following the Taliban offensive. The official further added that the public uprising was launched jointly by local residents and former Mujahideen leadres. He said the Taliban militants were forced to leave Khanabad district following the public uprising. Hundreds of Khanabad district residents were forced to flee following heavy clashes between Taliban militants and Afghan security forces. provincial governor Ghulam Sakhi Baghlani, said efforts have been put in place to help the displaced residents to repatriate to their homes.